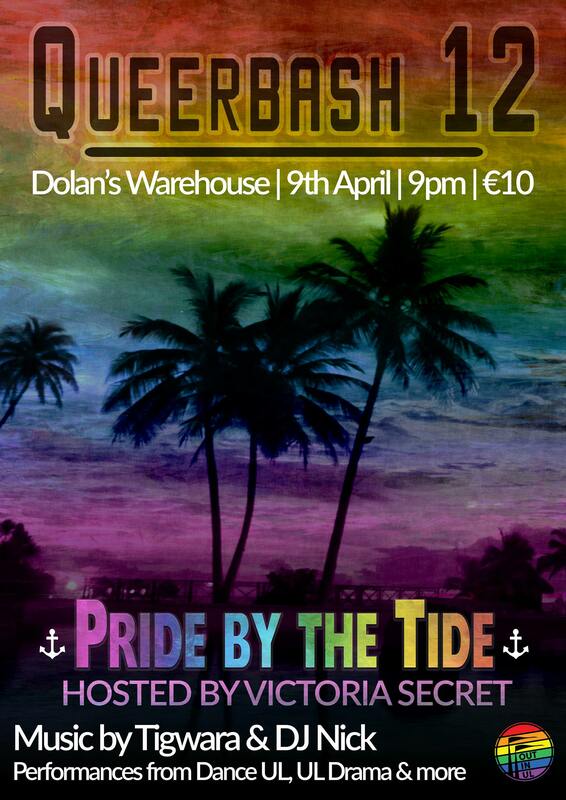 That’s right, for this the twelfth year of Queerbash we’re going to transform Dolan’s into the ultimate beach party. Think mermaids, scuba divers, bikinis, pirates, surfers, starfish, anything remotely beach related! As always, we have plenty of special guests lined up for the night, including our host, Dublin’s own Victoria Secret! We also have performances by Dance UL, UL Drama Soc and musical guests Tigwara and DJ Nick! So dust off those sunglasses, start applying that sun lotion, and get ready for some fun in the sun, as Out in UL present you with the ultimate summer paradise! Can’t wait to see you all there!